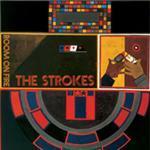 This album would probably sell bucket loads, no matter what was released simply because it is the strokes second album. That will not be the reason why this album will sell well. Room on fire is quite simply a cool album to listen to and can suit many different moods. It's good for in depth listening, background music and the most important function on music, to dance like an idiot to. Room on Fire is a far cry from the 2 or 3 good tracks then a lot of fillers that many albums seem to be based on at the moment. With only one weaker track, Automatic Stop to my mind doesn't fit in with the rest of the album for some reason. And finally for those of you who will listen to the album and come out with "it's the same as the first album" I have but one thing to say to you, LISTEN TO THE LYRICS! Is Mr. Casablancas repeating the same words over and over throughout the album? No! In fact LISTEN TO THE SONGS, the music isn't identical either!